is to be a key innovative player in digital technology sector. We trust that digital technology can make life better for everyone, and as such it is our aim to create digital platforms that benefits the community. 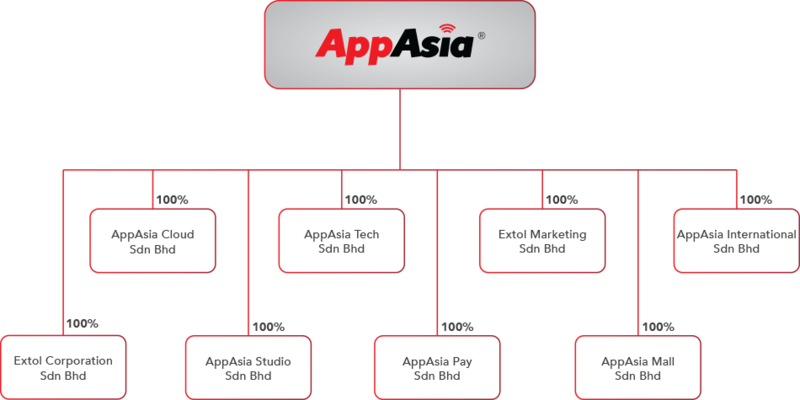 We plan to meet this vision by infusing the tried and tested hard work culture with the smart work culture to help create the perfect mix, which will help AppAsia move up to the next level. To create digital platforms that provide long term values to the stakeholders and communities, especially in the e-commerce, digital contents, cloud and IT Security sectors with the latest internet and mobile technologies. Strategic solutions with win-win partnership business model. Passion is an internal motivator, a following of one’s values, a regard of one’s intrinsic, unique desires that comes from within. Our team convey our enthusiasm and passion to allow us to constantly strive to develop and improve. Resilient – being able to adapt quickly to volatile, ever-changing global environment is crucial to a corporate’s survival. Our team is agile enough to react swiftly to new trends and developments and change the way we do things. We proudly uphold the value of honesty, truthfulness and sincerity while remaining fair and ethical in difficult situations. The time and effort put in every project is through to our mission of delivering superior results in a professional manner. Quality is an underlying trait that touches all aspects of our workforce that leads to distinctive outputs. The quality of our people and excellence of our operation is achieved through leadership, education and empowerment.